Click on Agenda to enlarge the image. 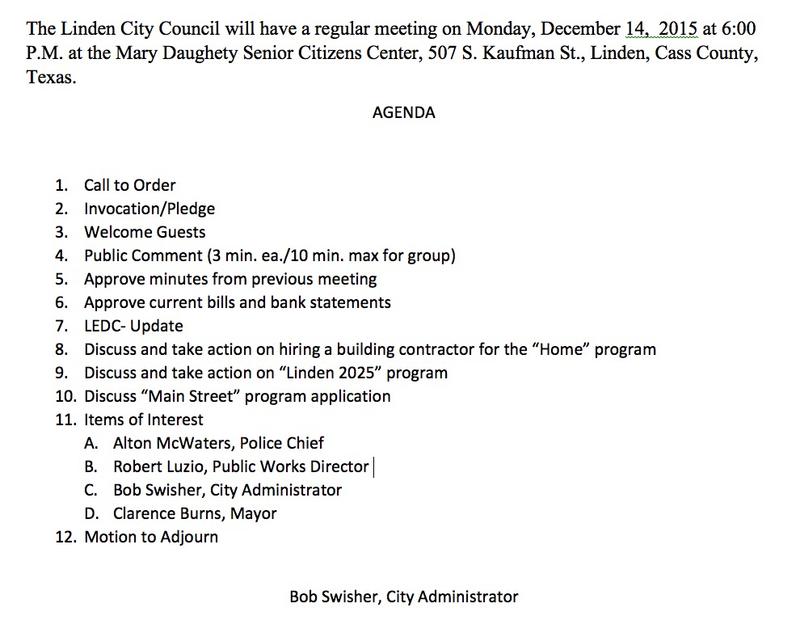 The last Linden City Council meeting of 2015 is scheduled for Monday, 14 December. If you are interested in the future development of Linden, please plan to attend. A proposed “Linden 2025” program and the related application for a Texas Main Street Program grant will be discussed. The 6 pm meeting will be held at the Mary Daughety Senior Citizens Center, 507 S Kaufman St, Linden, Texas. < Previous SPECIAL CALL to Linden Families – Who has old Linden Photos?